Top floor, pavilion style penthouse with stunning city views. A bold statement of lifestyle, design and innovation, this unrepeatable top floor pavilion-style penthouse offers a unique opportunity to secure a luxurious urban retreat in the heart of Newstead. This penthouse boasts a massive floor plan of 128msq of internal living plus 55msq of external balcony spanning near 20metres across the entire frontage - every room has full balcony access and amazing non-stop views. Extensive use of floor-to-ceiling glass delivers a seamless integration between interior and exterior with every room enjoying full frontal access to a sweeping balcony. The cosmopolitan backdrop fills the interior with natural light and is an energetic combination of neutral tones, soaring 3.2 metre ceilings and upgraded finishes delivering the best in state of the art living. A full mirrored wall in the lounge reflects the city backdrop cleverly doubling the views from every angle within this space. Steps away, the gourmet kitchen is equipped with premium integrated Miele appliances including a gas cooktop and fabulous storage space. Other extras include an insinkerator and water filters. Infinity-style sliding doors open onto the large inset balcony dining space making entertaining absolutely seamless and expanding the open plan living. Full height all-weather exterior planation-style shutters on separate tracks ensure this alfresco space is ideal for all seasons. This penthouse boasts a large King-sized Master bedroom, striking bespoke leather wall panels and Black Japan bedhead feature creating a private retreat from from the main living areas. It contains impressive full height walk-in wardrobe alcove and a spacious en-suite with dual vanity, full bath and walk-in shower. There are a further 2 generously sized bedrooms located at the far wing, also with full-height wardrobes, custom blockout curtains, wool carpet all with full direct balcony access and those magnificent views. 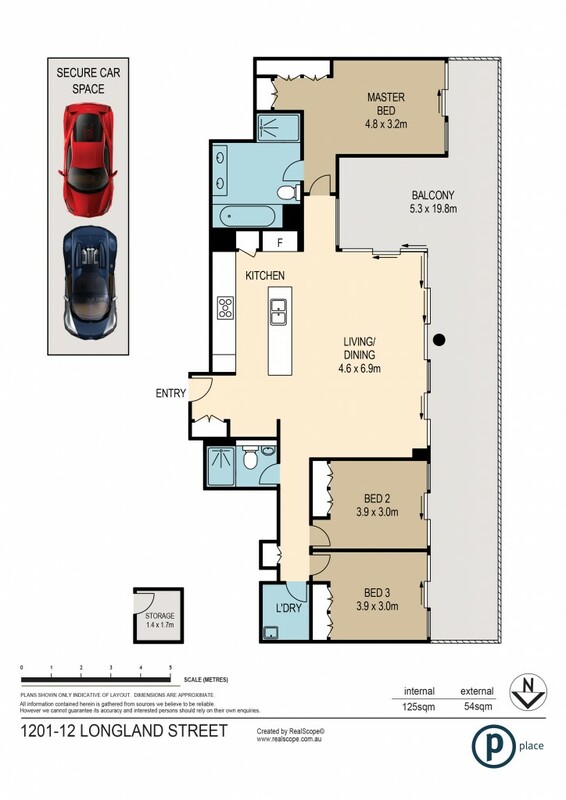 Some special features to this penthouse also include a fully equipped separate laundry (with clothesline), study nook, linen cupboard, bespoke art hanging system, 3 zoned air conditioning systems, security intercom, double secure car space with over bonnet storage, NBN cabled and ready. In addition you'll find your own personal ultra-convenient lockable store room steps away on your floor. Unison residents have exclusive access to the 4,000m2 garden which incorporates a lap pool, plunge pool, outdoor kitchens and lounge areas. The complex also offers a gym as well as multiple health and wellbeing zones. Located in the building is Pantry 360 and Drum restaurant offering coffee, wine, food and convenient home delivery service straight to your penthouse. This ultra convenient position offers the optimal lifestyle choice with everything you could possibly need at your fingertips. Enjoy the convenience of a short walk from the urban-edge of Teneriffe and New Farm, including shopping, dining and entertainment on James Street. Additionally, the CBD is in close proximity providing even more cosmopolitan options. All about unique contemporary style, welcome to your new home where the sky is the limit.